Anyone who has ever dealt with a toddler knows that routine is key. But children aren’t the only ones who benefit from consistency. Taking good care of your skin is an everyday thing, and having a skin routine can make all the difference in dryness, itchiness, redness, and breakouts. The trouble is, in my opinion, no one wants to have a duffle bag of products on their bathroom vanity. That goes double for me since I only have one bathroom and the counter space is woefully small. The solution is simple! 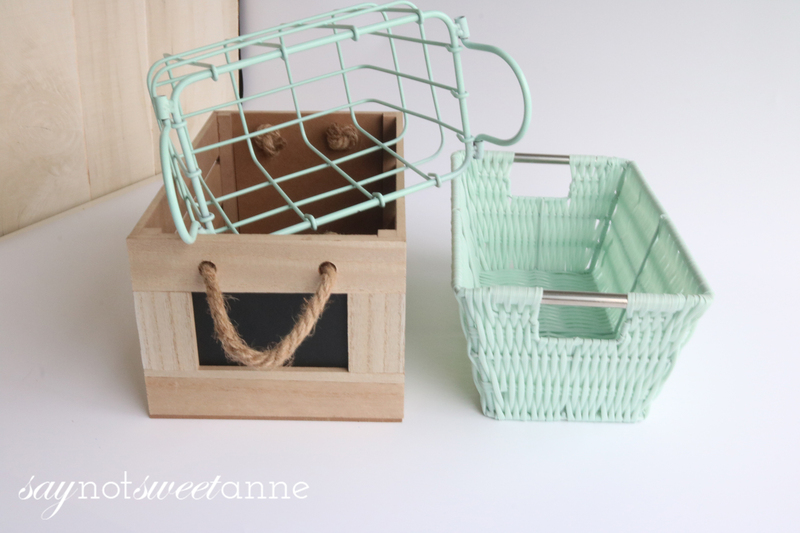 Build routine baskets or caddies to store all of your needed items in a visually pleasing and easy to use way. 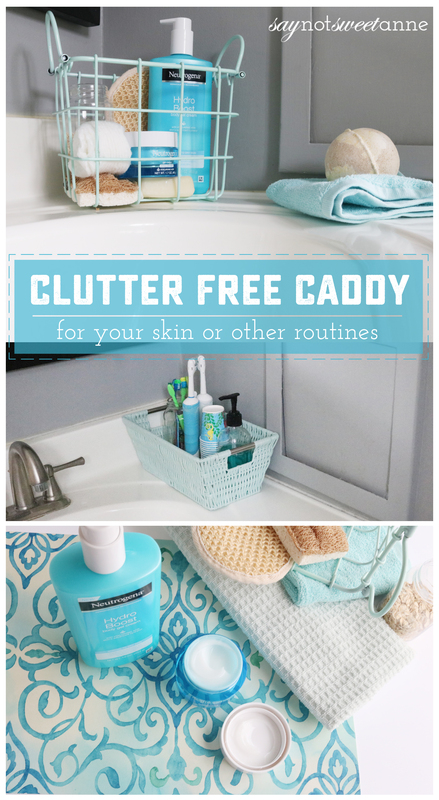 With some upcycled jars, a pretty basket or box and a little color coordination you can turn that jumbled mess into a posh skin routine caddy that looks like a beauty magazine cover. Start with your baskets. Find something that suits your decor style, is compact enough to be efficient but big enough to fit what you will be storing. Pay attention to what type of items you’ll have in the basket. If it might get wet, you should stay away from rattan or wood carriers. Once you’ve picked your basket, set out all of the items that you need as part of your routine. Decide which will stay in their original containers, and which should be repackaged. I often buy bulk or oversized products, but those take up way too much space in a caddy. 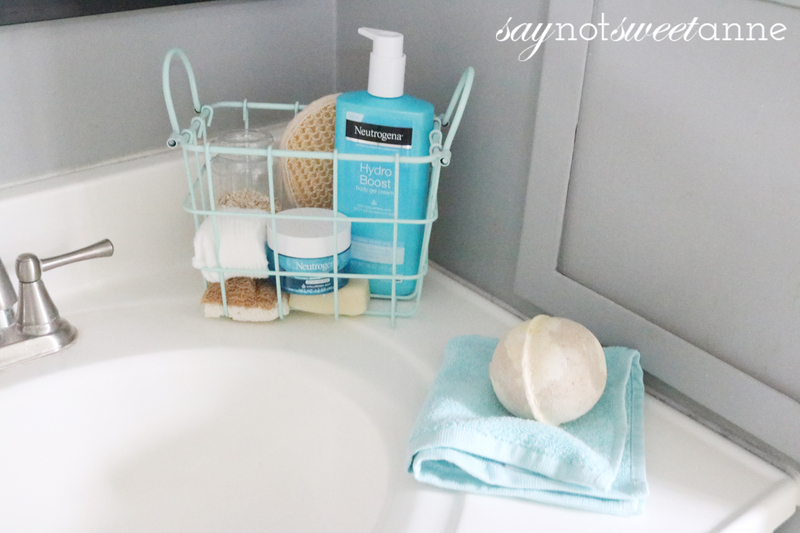 Additionally, some items can look instantly better with a simple change of container. I pour some of our bulk sized mouthwash into a pump bottle to display next to the disposable cups. I also use small jars to corral toothbrushes in my teeth routine caddy, and oatmeal in my skin routine caddy. Consider what you need to put on, wipe off, or clean up after your routine. For my beauty caddy, this means a soft face towel and a washcloth. For my teeth routine caddy it was disposable cups. Make sure there is room for these as well. Put everything together, and enjoy the beauty of your work! Having everything out in the open is great, especially when it looks nice. The bonus, however, is that since everything is organized by routine, you can put the caddies away in a closet or cupboard when needed, and everything is easy to pull out again when it is time to use them. 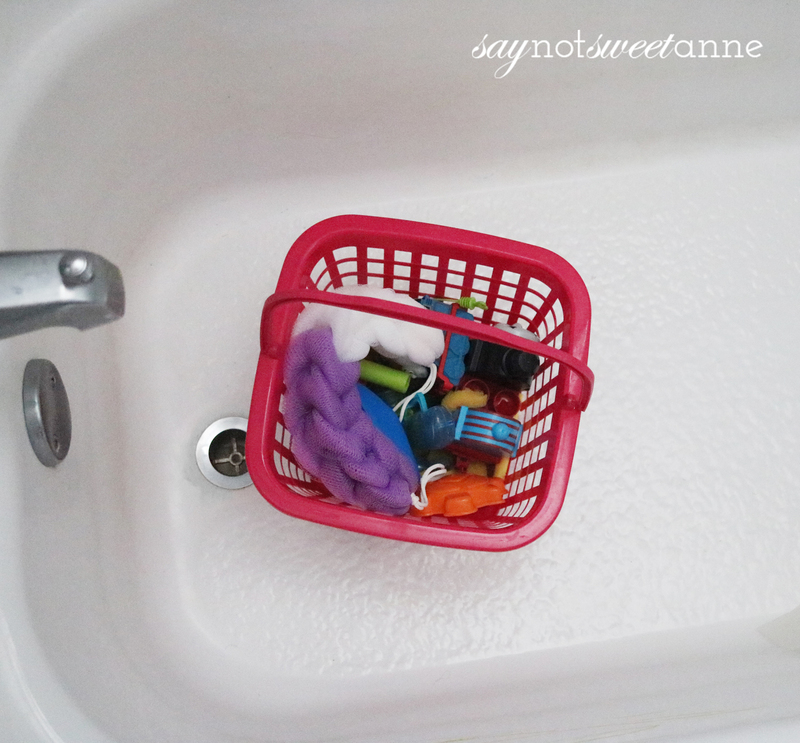 I use the same principle for the Squish’s own bath caddy, where he keeps his bath loofah and all of his bath toys! 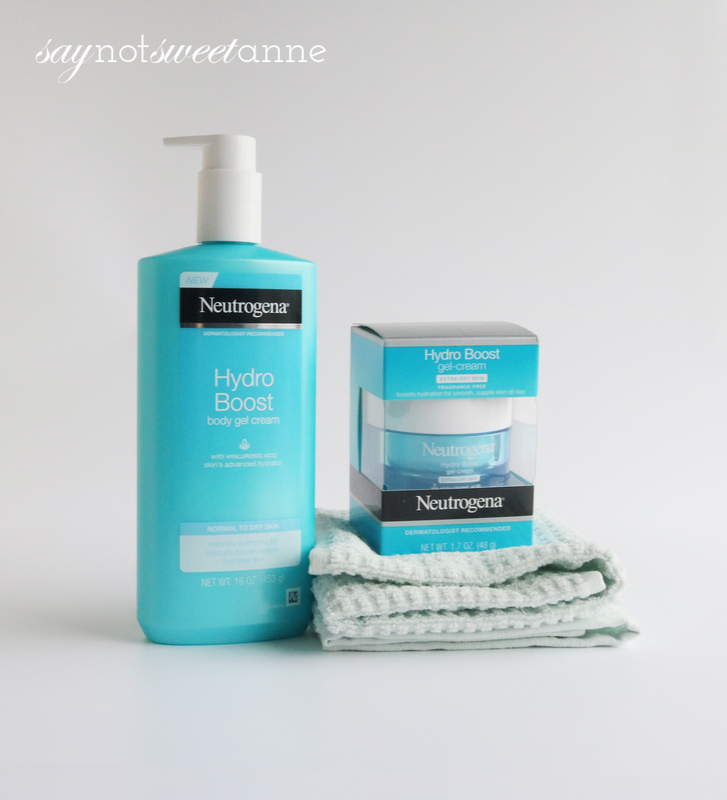 A 16-oz bottle of hydrating NEUTROGENA® Hydro Boost Body Gel Cream, which is a lightweight, non-greasy and paraben-free body cream with hyaluronic acid to boost skin cells’ hydration and lock it in. 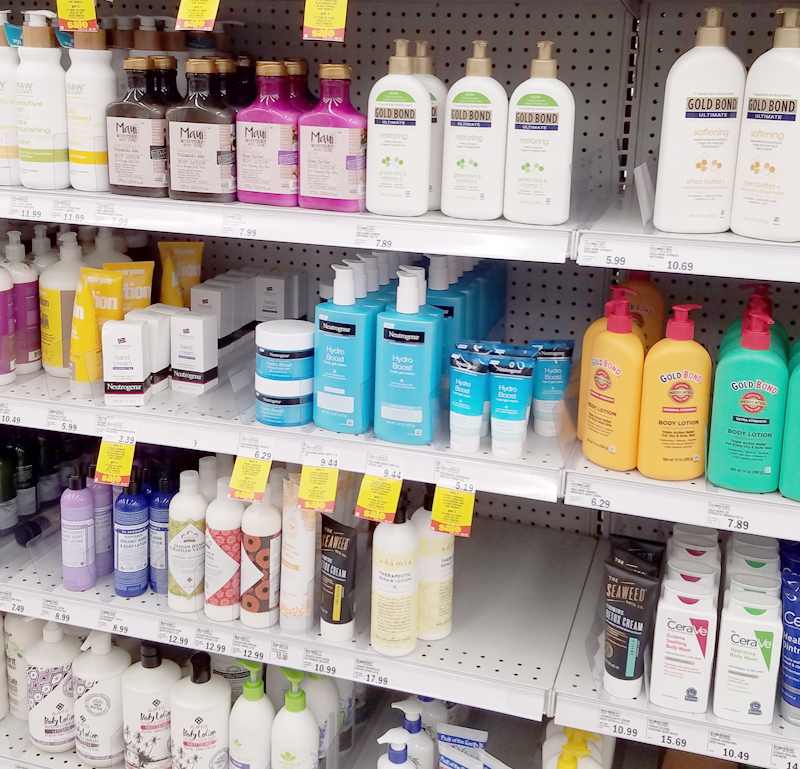 Especially in the winter months, a body cream (especially one from the one best-selling facial moisturizer brand) is a must have for me or else I get dry and itchy. On days that I rush and skip this part of my routine, I feel like I’m wearing a scratchy sweater, especially on the tops of my shoulders and elbows. It is face level skincare for my body! 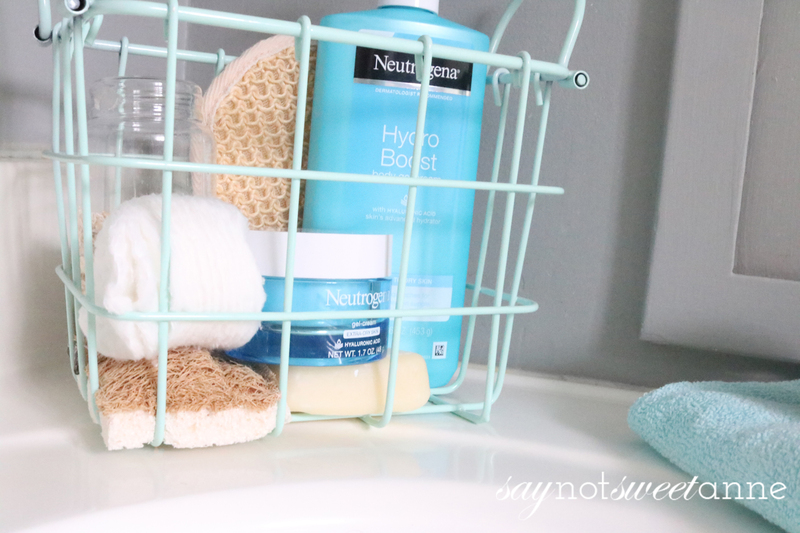 A jar of NEUTROGENA® Hydro Boost Gel Cream Extra-Dry Skin facial moisturizer. This is an award-winning and best selling water gel formula to deliver intense hydration for my face and neck. It is non-comedogenic, oil-free, dye-free and fragrance-free. It is perfect of after cleansing, or under makeup, hydrating with hyaluronic acid to lock in moisture and it makes my skin look smooth and supple. 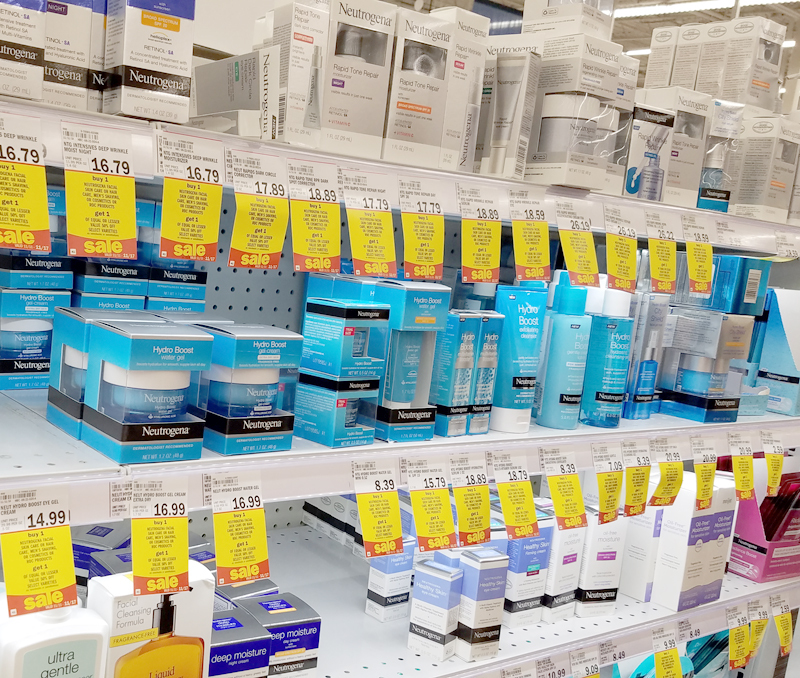 If you are interested in sampling one of the NEUTROGENA® Hydro Boost products, stop by your local Meijer stores on 12/9/18 and see one of the Beauty advisors that will be handing out product samples and educating people on the benefits of the products. Also, 12/9 through 12/15, Buy One Get One 50% off on NEUTROGENA® Body Wash and Hand & Body Lotion or Buy One Get One 30% NEUTROGENA® Facial Care. See your Meijer store for additional savings, or Meijer.com. Go check it out for yourself! I’ve also got my typical oatmeal face scrub and some cotton pads for my homemade thyme toner. 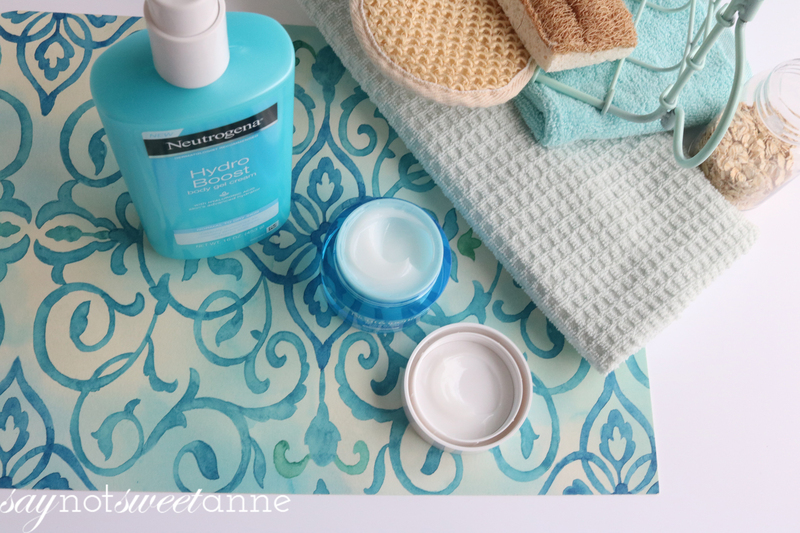 I love being able to mix my homemade routine items with the dermatologist recommended commercial NEUTROGENA® products. On special days (when hubby and the Squish are out of the house in the evening) I add a bath bomb for good measure. Because nothing beats a soak in a hot bathtub. 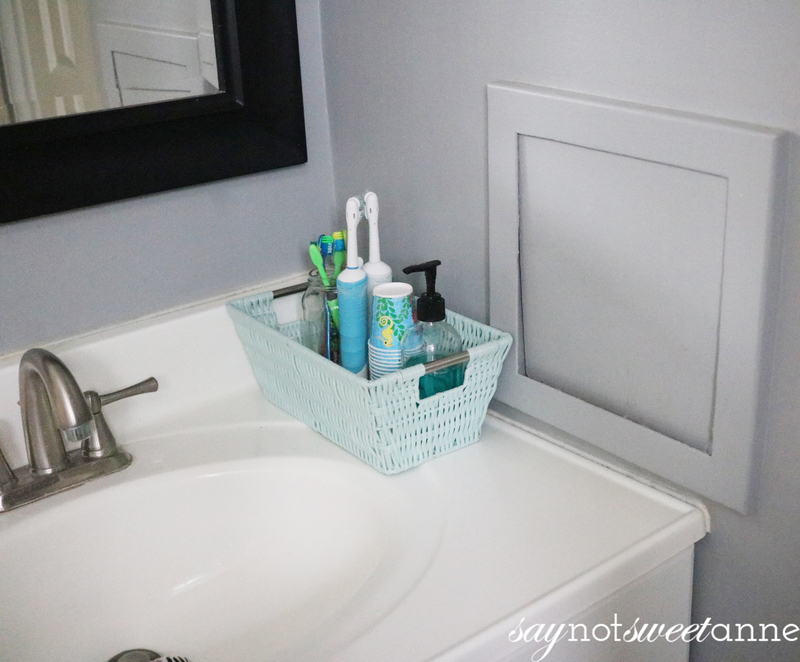 I’ve expanded this caddy idea and made one for teeth routines, for my makeup routine, and even for guests in my guest room! It is amazing how easily a pretty container can make would-be clutter into something curated and beautiful.